How often might the parent of a teenage boy hear these words: “I would like to be bigger and stronger, so I can..?” If your teenager says that to you, what do you? Maybe their friends have started working out and they feel left behind. Perhaps a coach suggested that they try to get a little bit stronger. It is common for high school coaches of any sport, particularly football, to recommend that their athletes lift weights to help improve their performance. Often the coaches suggest, or sometimes even mandate, that the students participate in powerlifting. The purpose of this article is to assure and inform you the parent of the risks and benefits related to powerlifting. The three powerlifts (the squat, bench press and deadlift) test overall body strength, and strength is a very important factor in a majority of sports. It makes sense that many coaches encourage their lifters to participate in a powerlifting oriented training program. In addition the powerlifts, when combined with a healthy diet, are very effective at adding muscle mass to the body. The additional muscle mass is useful in sports, particularly for high school athletes whom are often lighter than they desire to be, and it may help build their confidence as well. A common question asked by parents is “Is it safe for my son or daughter to lift weights?” This is certainly a legitimate question. While no exercise is without risk, lifting weights is an extremely safe activity for people of all ages. The most common question brought up when talking about children lifting weights is the possibility of stunted growth. Simply put, it is a myth that proper strength training can stunt the growth of a child. There is no scientific evidence to support that claim. While the weight they lift may seem high, for example bench pressing 200 pounds, the forces acting on the bones and joints are much lower when an athlete is lifting weights then when they run full speed into someone and tackle them (or get tackled themselves). Children have been performing manual labor on farms and such for generations, there is no difference between lifting a bale of hay or carrying water from a well and picking up a bar with weights on it. To assess how likely a sport is to cause injury to the participant, sports and activities are given injury rates per 100 hours of participation. Below is a chart that includes sample sports and their injury rating. As you can see weight lifting is very safe compared to basically any sport, it is even safer than gym class. Indeed many strength and condition professionals feel that a proper strength training program will significantly decrease the risk of injury because weight lifting strengthens not only the muscles but the bones, ligaments, joints, and connective tissue in the body. A body in good shape is much less likely to get injured than a body that is deconditioned. If you are searching for a qualified instructor to teach these lifts and others to your child look for someone who is certified by the National Personal Training Institute (NPTI) or someone that has the Starting Strength Coaching Certification. As previously mentioned, lifting weights is generally safe but that does not mean that it does not pose any chance of injury. It is strongly suggested that all high school students (and younger) lift in a supervised setting with qualified instruction. In addition it is very important that the athletes have proper form on the exercises at all times. It can be very tempting for high school students, particularly competitive males, to want to lift more than their friends. This can lead to them making large jumps in weight and allowing their form to break down to temporarily lift more weight. This needs to be avoided. Exercises that work the primary joints of the body (shoulders and hips) needed to be performed with strict form, particularly those that place a load on the lower back (squats and deadlifts). Student athletes need to take the time to learn the movements correctly before weight is added, and periodically the form should be reevaluated to see if any flaws have emerged. If an athlete experiences pain in a joint they should immediately stop the exercise and see if the instructor can evaluate their form as they perform the exercise with light weight. Generally corrections in form will cause any pain to go away, but if the athlete can not perform the exercise pain free then the exercise should not be performed and a substitute exercise should be given. Powerlifting offers many health benefits such as stronger muscles, stronger bones (and a decreased chance of developing osteoporosis later in life), stronger joints, improved metabolism, improved body composition (lose fat and gain muscle), improved work capacity, and a decreased risk of developing type II diabetes (which is becoming more and more common in children and teens). 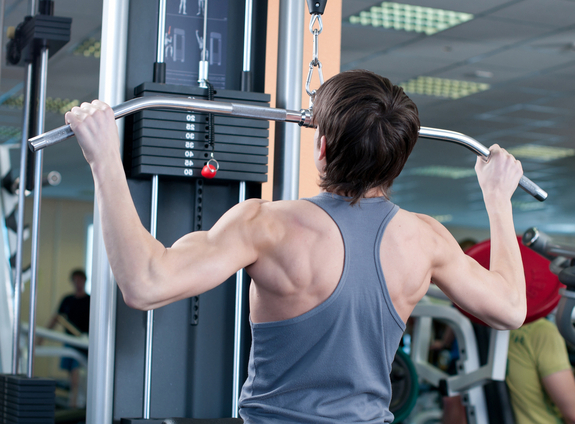 In addition, Powerlifting and weight lifting doesn’t have to stop when high school ends. Most high school athletes will not continue to play to competitive sports in college, and even fewer college athletes will play professional sports. But lifting weights is a viable form of exercise for those of any age. Powerlifting in specific has age groups for those under 13, 14-15, 16-17, 18-19, 20-24, 25-39, and then once you get into the master’s category (over 40) you can continue to lift as an adult. Females are also welcome and encouraged to compete in powerlifting and lifting weights during the years of puberty and beyond is particularly important for young women to help develop good bone strength. If your son or daughter gets bitten by the powerlifting bug there are many high school competitions available to them, check out powerlifting watch (www.powerliftingwatch.com) for a list of all upcoming competitions. Aside from improved sport performance, powerlifting can offer teens and adults many different benefits. Lifting weights is a unique activity in that it is very objective (you either lifted the weight or you did not) and it is extremely easy to see if improvement is being made (either more weight was lifted or more reps were performed). This provides continuous feedback to the athlete about their training. In an ideal world, difficult but achievable goals are set, the athlete works hard towards those goals and achieves them, and a sense of accomplishment is felt. Continued success in the gym and on the field should lead to a sense of personal confidence that hopefully can be applied in many situations in life, including school and work. Powerlifting can be a very valuable, healthy addition to your child’s life, whether it involves participation for 3 months or 10 years. It reinforces the benefits of a good work ethic and a healthy lifestyle. It fosters discipline and patience as the gains don’t come over night. Exercise has also been shown to improve concentration levels, the ability to focus on one task, and a general sense of well being. With your support your student athlete may improve their sporting performance and they may possibly find another activity which will add to their overall happiness and fulfillment. If you are interested in finding out more information about powerlifting, especially for teens, I suggest you refer to the following links. In addition Mark Rippetoe’s book Starting Strength is an excellent resource for coaches and lifters. It discusses in significant detail how to perform each exercise and provides general coaching guidelines for youths. I have also released my own book entitled All About Powerlifting which covers almost all aspects of the sport. If you have any questions about anything in this article feel free to comment below or contact me.